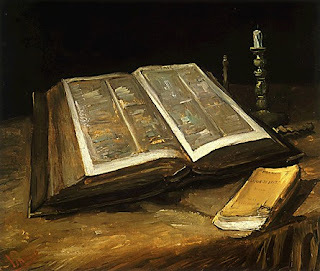 The Sacred Page: Sola Scriptura: Is it taught in Scripture? The Leviticus conference was cancelled. It should be noted that Sola Scriptura is not a doctrine that says that Scripture is the "only source for the content of the faith;" it simply says that it's the only infallible source which makes it the highest source out of all possible sources. Hi John, I agree with you, 2 Tim 3:16 doesn't support sola scriptura. There are quite a few problems with using this verse to support Sola Scriptura. How do we know 2 Timothy is inspired? Because it says so? This is circular reasoning, the book of Mormon and the Quran claim to be inspired, does this mean they are? No, in fact how do we know any of books of the new testament are inspired, how do we know we got the correct books, if we go by scripture alone, where in scripture does it tell us what books belong in the bible? And even if we had a book in scripture which listed the inspired books, how would we know that book itself was inspired? "And let steadfastness have its full effect, that you may be perfect and complete, lacking in nothing"
Scripture cannot possibly teach sola scriptura anywhere, those who believe in sola scriptura will admit that the inspired word of God was also being transmitted orally in the first century as seen in 1 Thes 2:13, 2 Thes 2:15 & 3:6 etc, now, if there are 2 vehicles transmitting the inspired word of God, one can not cancel out the other. 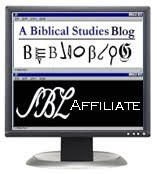 The written can not teach sola scriptura or this would mean the readers would have to reject the oral word of God which was being transmitted at the same time, Just as the Oral word of God could not teach Sola oral or that would mean the written would have to be rejected, this proves that the bible does not and can not teach sola scriptura. Thanks be to God for the Church he established to provide us with guidelines and parameters. Nick: You're right that sola scriptura can be held in different forms. Some hold it as you describe (the highest of possible sources), others hold it in a more rigorous fashion, as I described it in my post (the only source for the content of the faith). Michael: Sorry to hear it! I hope the speaker recovers soon! ophelimos o-fel'-ee-mos: helpful or serviceable, i.e. advantageous -- profit(-able). Given that the Scriptures are God-breathed, the burden of proof belongs to those who advocate for "God-Breathed" revelation which exists outside of Scripture which is also binding on the believer. Where are the words of God outside Scripture? Perhaps a few words or two spoken by Jesus which have not been written down would suffice? Any takers? Luke2445 apparently isn't careful using 1 Thess 2:13; 2 Thess. 2:15, 3:6. What is this oral teaching from the apostles? Is it different in content from what has been preserved in Scripture? The very verses cited suggest otherwise. The message that was orally proclaimed was eventually written down as Scripture. Even the early church came to identify "tradition" with what had been preserved in Scripture. 2 Tim. 3:16 teaches Sola Scriptura in that it affirms the sufficiency of Scripture (which is God's holy Word after all) to equip the believer for every good work. This verse unfortunately gets so minimized by *some* Roman Catholics that its theological richness is passed over all too quickly. The burden is not on us Catholics to prove other sources of Divine Revelation, it is actually up to Protestants, because for 1500 years the Church always believed in Sacred Tradition and Sacred Scripture as being co-equal with the Magisterium to teach and clarify. Martin Luther and other Protestant Reformers denied papal/magisterial authority, so the only Divine source of authority left was the Bible. For a clarification, all Sacred Scripture and Tradition come from Apostolic Tradition (definition provided below). The deposit of faith is contained in Sacred Scripture and Sacred Tradition. "12. What is Apostolic Tradition? Apostolic Tradition is the transmission of the message of Christ, brought about from the very beginnings of Christianity by means of preaching, bearing witness, institutions, worship, and inspired writings . The apostles transmitted all they received from Christ and learned from the Holy Spirit to their successors, the bishops, and through them to all generations until the end of the world. ...Apostolic Tradition occurs in two ways: through the living transmission of the word of God (also simply called Tradition) and through Sacred Scripture which is the same proclamation of salvation in written form. Tradition and Sacred Scripture are bound closely together and communicate one with the other. Each of them makes present and fruitful in the Church the mystery of Christ. They flow out of the same divine well-spring and together make up one sacred deposit of faith from which the Church derives her certainty about revelation." John is not trying here to set up proof for the efficacy of Sacred Tradition but questioning the scriptural quality of Sola Scriptura. That would open a new discussion. As it stands, Sola Scriptura has not been shown to be scriptural...ironically. Jorge seems to be using the argument I described in my post, taking ophelimos as "sufficient". I think that's a stretch linguistically. I'm wondering if there are other passages that people see as providing strong evidence for a "sola scriptura" position. Obviously I don't believe in sola scriptura, but I want to be aware of the best possible arguments for it, so that in my teaching I don't simply attack a straw man. Dr. Bergsma, I think the argument that Jorge (and, in my experience, most Protestants) is making with this verse is actually a bit different than what you've described. The focus is on verse 17, where it says "that the man of God may be COMPLETE, equipped for EVERY good work." So the argument is that Scripture makes us complete and equips us for every good work, so we don't need anything else. So the emphasis is a bit different than what you've presented. The problem with this argument, though, is that if you read the whole passage, it says in verse 16 that Scripture is USEFUL for things that make the man of God complete and equipped for every good work, not that Scripture is sufficient for doing this, as you point out. So I think that ultimately, for this argument to work, the word ophelimos has to be taken to mean sufficient, which is a stretch, although most people who argue this way don't in fact realize this and instead focus solely on verse 17. I’m sorry but your “1500 years” claim is riddled with problems. The Roman Catholic “Magesterium” wasn’t in existence 1500 years before Luther (! ), and what the Roman Catholic Church believes to be “Tradition” today is not what “tradition” meant to the apostles (as they used it in Scripture) and the early church. These facts are not in dispute even among Roman Catholic scholars. The doctrine of sola scriptura isn’t derived from a single word in 2 Timothy 3:16. And no, I’m not arguing that ophelimos must mean “sufficient” in order to *prove* the sufficiency of Scripture! It is the thrust of Scripture’s teaching concerning itself, and the lack of another God-breathed source of binding, divine revelation, that establish the sufficiency of Scripture. Staying with Timothy for the moment, in 2 Tim. 3:15 Paul says that “the sacred writings” are able to make one wise “unto salvation through faith in Christ Jesus.” This ability implies “an innate sufficiency,” (in the words of David T. King) of the Scriptures to bring one to salvation through faith in Christ. Paul then states the divine origin and profitability of Scripture in teaching, reproofing, correction, and training in righteousness with the end result of being able to complete a believer, equipping him or her for every good work. If Paul is trying not to give the impression that the Scriptures are sufficient for the believer then he failed miserably! The Scriptures are God’s very words. God’s very words! O how *we* so easily take them for granted! They bring life to the spiritually dead and guide his people in his ways. I’d love to hear a positive, Roman Catholic exposition of what this passage says about the relationship between a believer and the Scriptures for a change. Let’s not diminish the power of what Paul has just stated for the sake of winning an argument. Maybe that last sentence was meant more for me than anyone else. So be it. Jorge is thoughtful and respectful and his questions deserves equally thoughtful and respectful replies. -- You believe that scripture is the "sole infallible rule of faith" (I do not know if you meant 'inerrant' rather than infallible, but that is probably trivial). I've often wondered what is the use of having infallible/inerrant scriptures if God did not provide an infallible/inerrant means of guiding as to what it means? Imagine I am the only person in the world. I have infallible scriptures. Am I able to infallibly understand what is written? If not, what is the purpose of having an infallible written guide? It's like being given perfect instructions on how to construct my IKEA furniture, except that my English is not up to par and I can never understand properly every step. Now imagine there's two of us in the world, and we disagree on the meaning of the instructions. Who has the correct meaning? The one who can best articulate his argument? The one who has the most time to study NT Greek? Which one of us? (You may reply the Holy Spirit guides us, but which one of our various interpretations is the one guided by the Spirit?) (btw, the IKEA furniture is invisible, so we can't proceed through trial and error and check which instruction is correct). Please don't reply that things aren't better in the RC. I am not seeking an argument that our side is better. My question is to understand if and how people on the other side has thought about this question. -- If scripture is the "sole infallible rule of faith" what was the rule of faith for the apostolic era Christians before the NT was written? And during the time before the NT canon was fixed? What was the rule of faith that guarantees us that "The Gospel of Matthew" is the word of God? Thanks for your comments on the post. I've been "around the block" in Protestantism, Jorge. I was a Protestant pastor and I went to what, in my opinion, is the best Protestant seminary in America, Calvin Theological Seminary in Grand Rapids, MI. It's certainly the most rigorous. I've also conversed and debated with all different kinds of Protestants: Fundamentalists, Calvinist Baptists, Free Will Baptists, Lutherans, Episcopalians, etc. I know that "sola scriptura" means different things to different groups. For some, it means that Scripture is primary, followed by Tradition and then Reason. For others, it means that Tradition (and sometimes Reason as well), are completely irrelevant. And for many, their actual practice of sola scriptura does not agree with their formal theological statements. Who is David T. King, and with respect, why should I care what he says or thinks? I've never heard of him and he means nothing to the Dutch Calvinist tradition I was raised in. We were only concerned with folks like Berkouwer, Bavinck, Berkhof, Dooyeweerd, Vollehhoven, and to a lesser extent, Anglophone Calvinists like those from the Old Princeton School. In this Calvinist tradition, there is no acknowledgment of any other source for the content of the faith besides Scripture. The role they allow tradition as an aid to interpreting Scripture would vary from theologian to theologian. Thanks for your response, and I appreciate you sharing some of your theological background. I too agree that sola scriptura “means different things to different groups” and that, for some, “the actual practice of sola scriptura does not agree with their formal theological statements.” But it’s these *formal* theological statements, however, that single out Scripture as the supreme and final authority for matters of faith and doctrine, and thus leave room for the use of other sources in a secondary and subservient sense. Even Charles Hodge, writing in the 19th century, could say that “All Protestants agree in teaching that ‘the word of God, as contained in the Scriptures of the Old and New Testaments, is the only infallible rule of faith and practice’” (Systematic Theology 1:151). Saying that “Scripture is the only source for the content of the faith” can easily be misconstrued if not qualified. David T. King is just a pastor, like you once were. I mentioned his name, along with some Protestant confessions, as *one* example (not *the* example) among many who articulate the historic doctrine of sola scriptura as I stated it above. His work on this topic is a cogent and recent defense of the Reformation principal of sola scriptura in light of contemporary Roman Catholic objections. Though you asked in jest, King can be of service to you in correcting the faulty presupposition of this very post. He writes, “Roman apologists claim that it is illegitimate to refer to Scripture in this way [i.e. sufficient] since Scripture does not explicitly use the term sufficient in reference to itself. This however, is an empty objection…The sufficiency of Scripture is reflected in the overall teaching of Scripture as seen in the many and varied descriptions Scripture applies to itself” (King, Holy Scripture, vol. 1, p. 181). I had trouble posting my response to your questions here (I think it might have been too long). So I've responded over at my blog. Jorge, thank you for the reply in your blog. I don't have much time to reply so I'll leave it here.